Kelsey, Odessa, Giorgia, Alessia, Cristina, Ginevra (2016-7). Shown at: Open Studio Night 2016 SAIC, Chicago / Teatrum Botanicum, @PAV - Parco Arte Vivente, Turin / The Great Learning curated by Marco Scotini @La Triennale di Milano. In this work, women wear a cluster of sugar balls behind their ears, an erogenous zone. 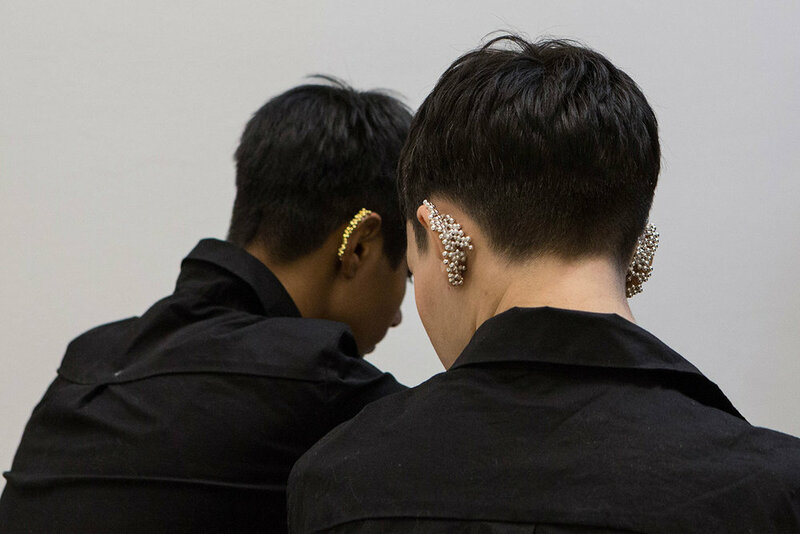 The jewelry is made out of silver and shiny spheres which are glued directly on the skin, visually referring to a parasitic relationship (a kind of symbiosis, a close and persistent long-term biological interaction between the parasite – sugar – and its host - body). The piece was repeated on several occasions and titled after the performers’ names (Odessa, Kelsey, Giorgia, Ginevra, Cristina, Alessia). 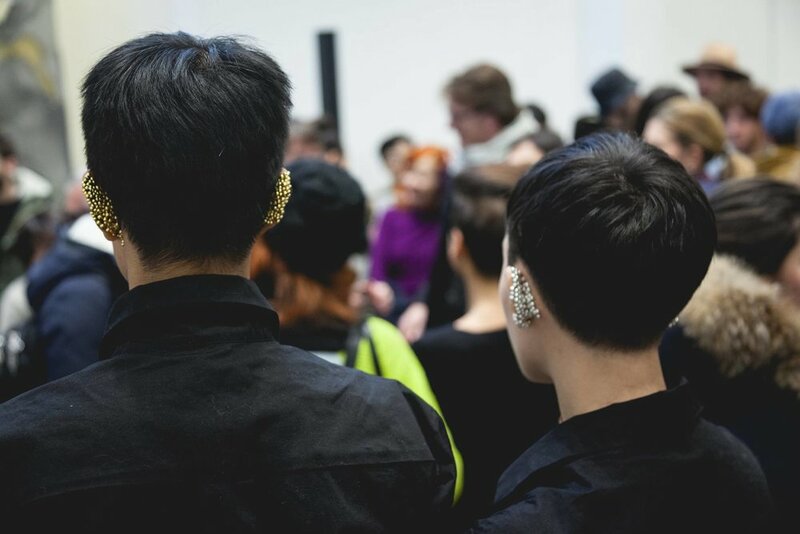 The performers were instructed to wonder in the exhibition space infiltrating the audience wearing jumpsuits, an ungendered, multi-use mono-garment for everyday wear. 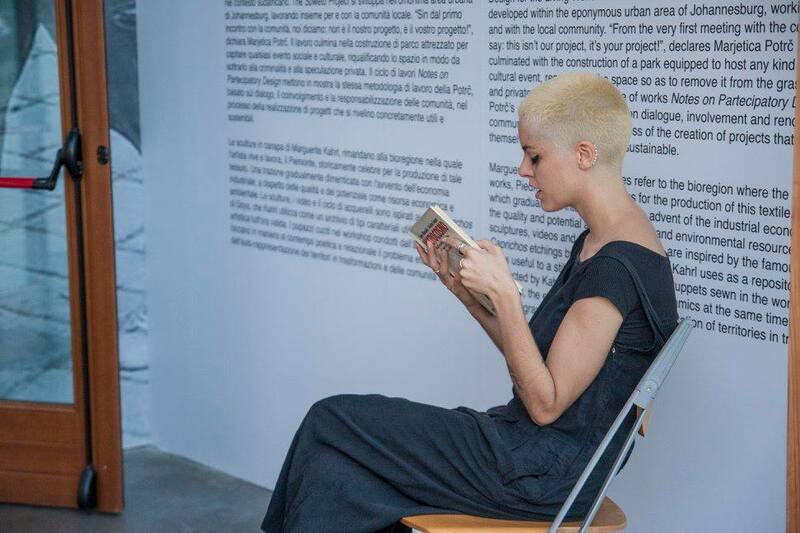 At “Teatrum Botanicum”, a Festival hosted at Parco Arte Vivente, Turin, in 2016, performers also read excerpts from “Symbiosis in Cell Evolution” by Lynn Margulis and from “Le Jardin en Movement” by Gilles Clément.